Looking South-West at a spectacular early evening sky in February 2015. Today I thought it would be a good idea to stop a while and say thank you to those who have been kind enough to take an interest in my Blog, and who have so willingly ‘signed up’ to follow The Holly Tree Tales, either as fellow bloggers or via personal email updates. Having finally begun to set up a blog in January this year, then struggling endlessly to master the technical side of it, tripping over all manner of things, and experimenting with all sorts of posts – while, at the same time, being terrified at the prospect of speaking before an audience I cannot see and do not know, yet determined to face the challenge with authenticity – I think I am getting a little closer to being able to post something, without giving myself palpitations or an exhaustion headache in the process! Yes, some of the photographs featured are dreadfully amateur, but that’s because they’re usually not staged and are often simply captured in the moment. Yes, some of the writing bangs on forever, but that’s because I try to write as if we were in the room together. Oh and, yes, some of my writing might appear rather stilted or old-fashioned … but perhaps I’m being too harsh on myself … Whatever. I do not seek judgement, please, nor critique, merely simple acceptance of my offerings and the knowing that I am grateful to have any readers at all. Your comments are always welcome and it is very heartening to know when posts have been of use or comfort, so please do not hesitate to share your thoughts with me and the other readers of this blog. It really helps to know that there is an audience out there! I wonder how many have noticed that I have learnt how to create menu headings? Believe it or not, I did not read the WordPress tutor documents before setting out on this blogging journey … perhaps foolishly, but I did not realise that they existed. Indeed this too has been a steep learning curve, but such fun, with a sense of personal achievement to finally master! As a result, several menu headings have been set up for The Holly Tree Tales, alongside what I have nicknamed the “Blogscroll” (now that I have learnt that it is also the “Home” page), and that as yet most of the additional menu headings and sub-headings still await their content. This is partly because Life itself has determined the pace at which I have been able to compile the page content, and also that writing clarity has not always matched the energy needed to fill in the gaps. They shall come … both clarity and energy … in tandem, I hope. When the clarity comes further, I intend to tidy up the blog site “categories” too, which currently seem rather endless! One dolly step at a time, as the learning continues. 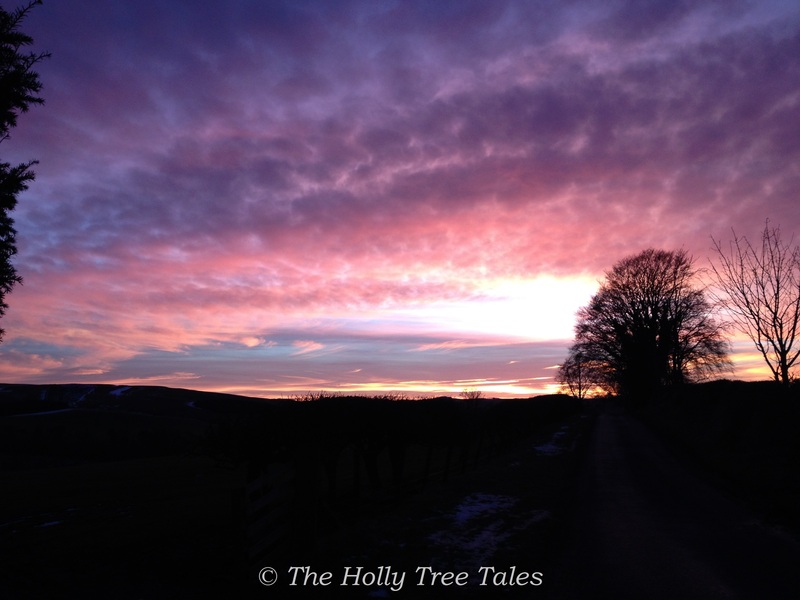 So, thank you for following The Holly Tree Tales, with its wonky structure and its little moments of applause, and thank you for patiently standing in the wings while I figure out what I am doing on the stage. It has been a nerve-wracking experience stepping up to the podium, and one that continues to challenge me, but I shall continue to do my best to deliver writing from the heart and to share some of my journey with you. I treat my blog posts like writing a postcard – that feeling of, it’s Ok, if a stranger reads it. Share what is comfortable.